Fraud detection is a real time execution of a false representation of a matter of fact. It is applicable to many industries including banking, insurance, financial sectors, insurance, government agencies and law enforcement, and more. This course will enable the participants to develop a knowledge bank on various facets of fraud detection and prevention ,such as , fraud ,its different schemes, analysis of fraud and taking steps to prevent further incidence, detection measures, fraud detection analytics, investigation techniques and the importance of Enterprise Risk Management in the overall reduction of fraud. 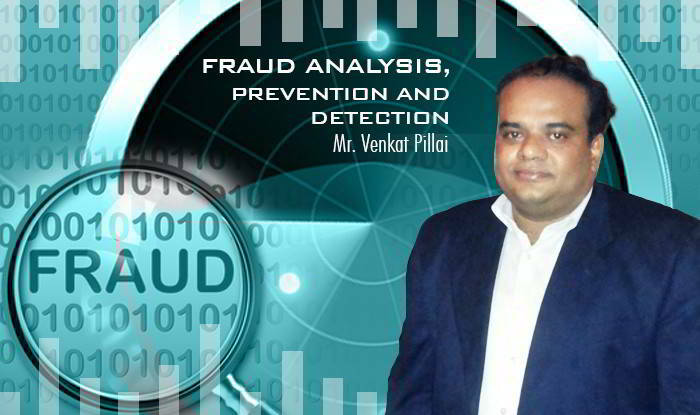 This programme serves to take the nuances of fraud and the various dynamics revolving round its prevention, detection and investigation to the target audience for achieving the goal of zero tolerance to fraud and hence focused productivity in organizations.The course aims to give the learners a fair understanding of fraud detection analytics. It is the combination of analytic technology and techniques with human interaction which will help to detect fraud. The students will have a broad understanding of fraud and its various facets and would be able to appreciate the importance of having a robust internal controls and risk management system in the organization.